In a business environment that is becoming increasingly competitive, it is important that organisations celebrate their merited success. 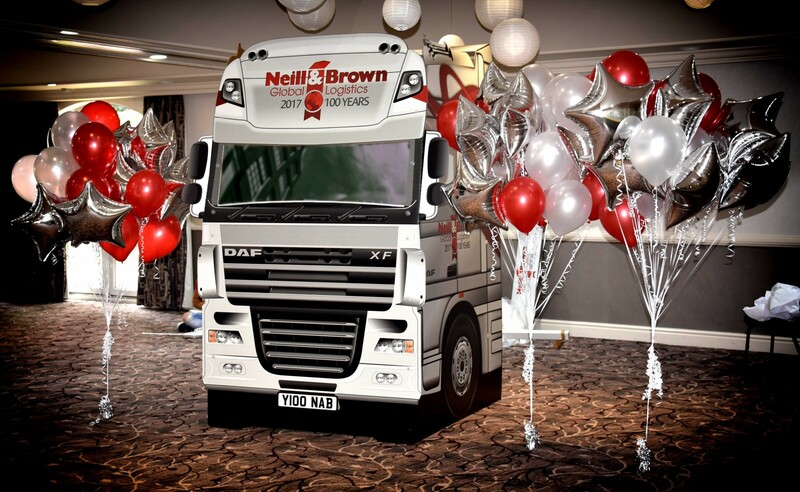 On this occasion, it was our fellow family business, Neill & Brown, celebrating a whopping 100 years in the transportation and logistics industry! After the outstanding Christmas hampers we created for them last year, they came back asking for more. 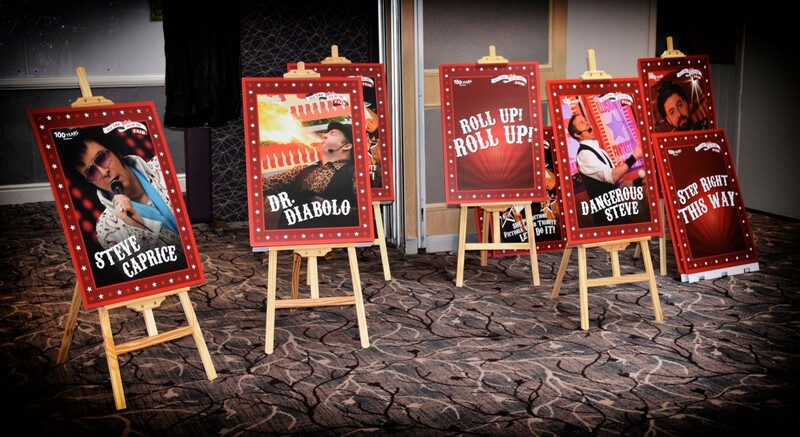 This time, the global logistics company required highly bespoke decorations and cutting-edge display units to wow their guests during their centenary dinner party! After the initial brief , there were countless creative ideas floating in the midst of our design department and it was not easy deciding on which one to settle for. 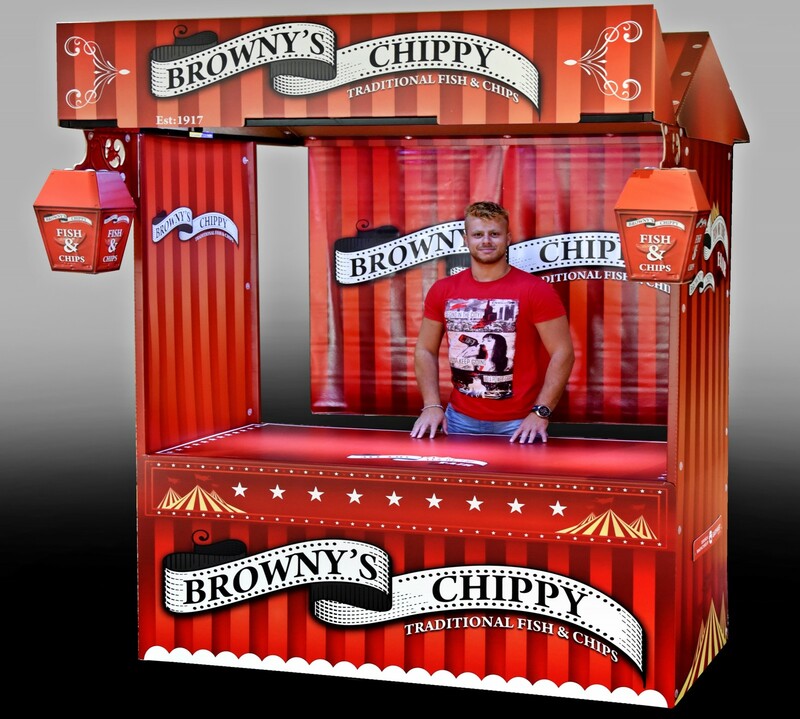 A great deal of scaling, measuring and visual structuring was implemented until Neill & Brown and Garthwest agreed on a functional Fish & Chips stall, several eye-catching easel boards to introduce each event throughout the night, and last but certainly not least, a life-sized photo booth shaped like the renowned Neill & Brown truck in which their guests could pose for photographs. Photographs they would cherish for another 100 years to come! Throughout the entirety of the project, our design department were given the creative freedom to use their artistic expertise into how the projects should look. Our senior POS designer and account manager liaised closely with the client and managed to deliver incredible units, better than the imagination. At Garthwest we pride ourselves on delivering amazing customer service, and through each stage of the creative process we liaised with the client to ensure that the project exceeded their expectations. Then once the project was finished, our team travelled to the booked venue in order to set up the truck and the stall on the day of the weekend event.